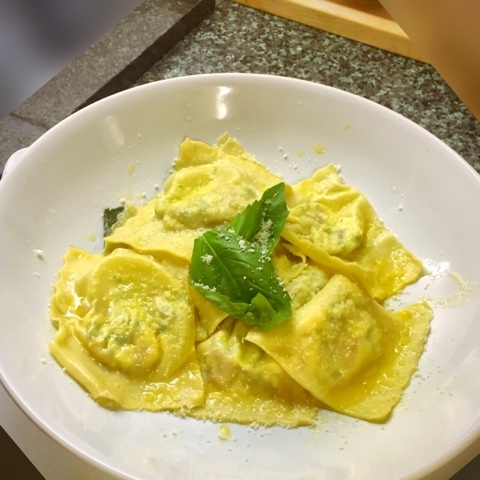 One of my go to dishes when dining alone is Pasta, with today being no different, on this occasion however, I’m opting for home made ravioli. Firstly we need to start with my basic pasta recipe, simply add one medium egg to 90g of Tipo 00 flour. I always mix by hand, use a large bowl or just a worktop. 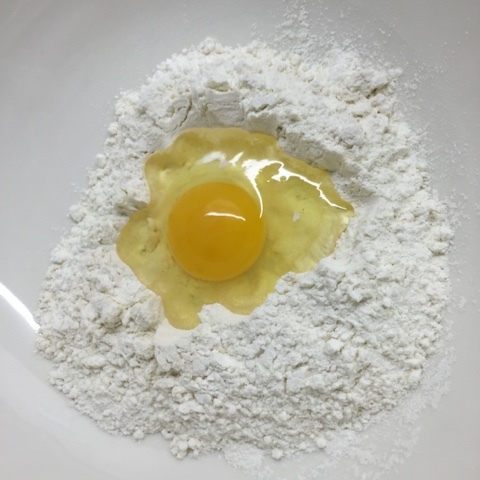 Make a well in the flour and add the egg, using a fork, beat the egg, gradually working in more and more of the pasta. The mixture becomes a dry mix, similar to large bread crumbs, at this point use your hands to bring it all together. Squeeze the curb like mixture into a ball and keep needing. 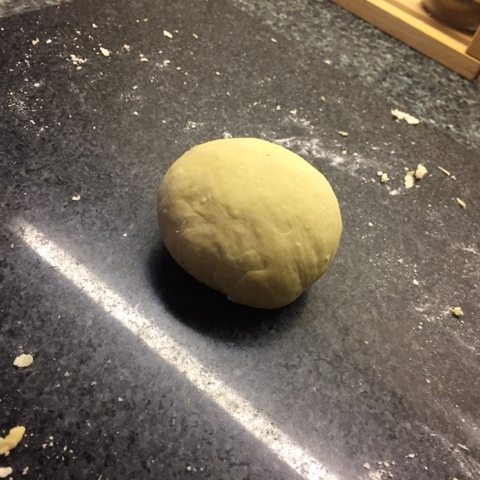 After a few minutes it should form a non sticky ball, if it still feels sticky, you can sprinkle extra flour into the surface until it has a playdough like texture. Work the dough by kneeding and ripping it, do this for a few minutes to make it more elastic. I then wrap in cling film and leave to rest, this not only makes it even easier to roll out later, but also give you a chance to clean up everything you’ve used so far. 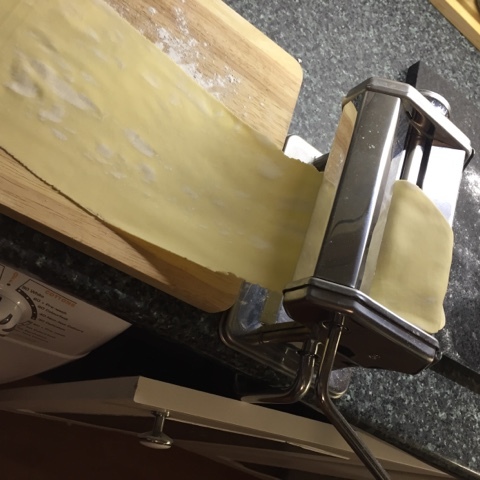 After 30 mins, remove the pasta from the cling film and roll thin or use a pasta machine. 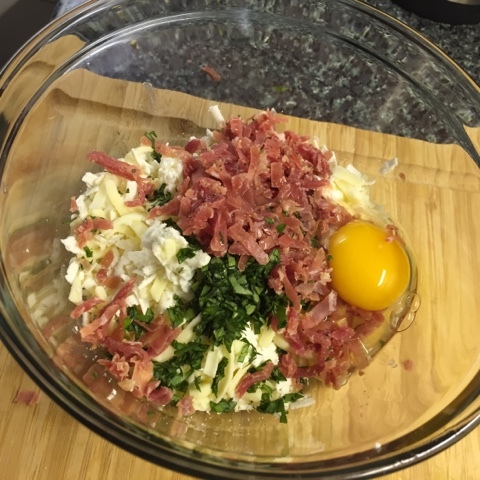 When rolled thin, add your filling, I have opted for Cheese, Serrano Ham and Basil, I also add an egg to bind all the ingredient together. 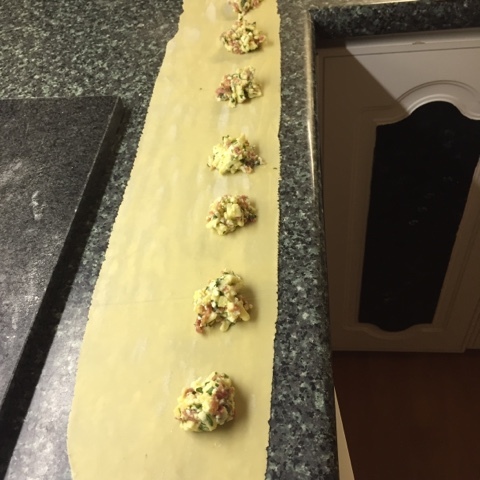 Put a teaspoon of filling at equal spaces along the pasta. 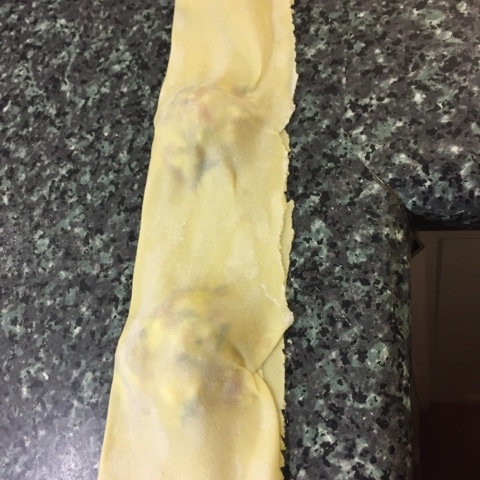 Use your finger to add water onto the pasta around the filling, creating a sticky pasta to help seal the Ravioli. Cover with a second sheet, making sure all air is expelled. 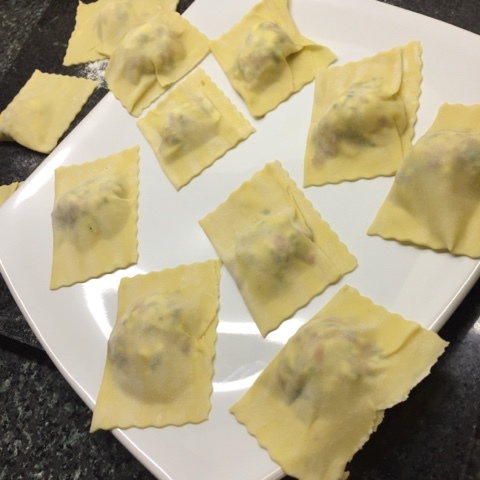 Use a pastry cutter or sharp knife to cut out your Ravioli. 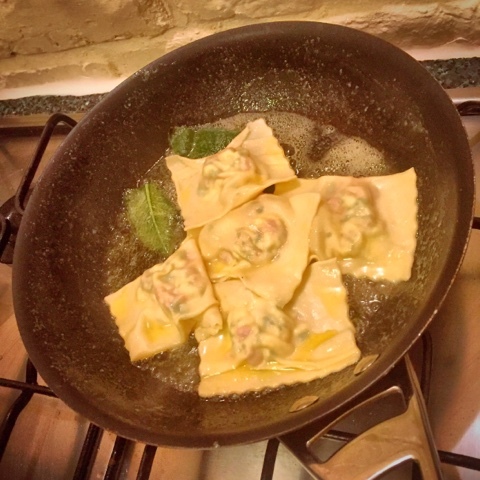 Add the Ravioli to boiling water for 3 mins, careful not to boil too hard so as to stop the pasta from bursting open. 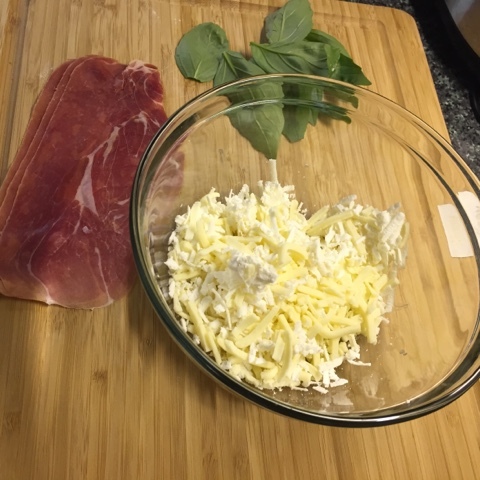 I then use a little butter and sage to make a sage and butter sauce, but the choice is yours.